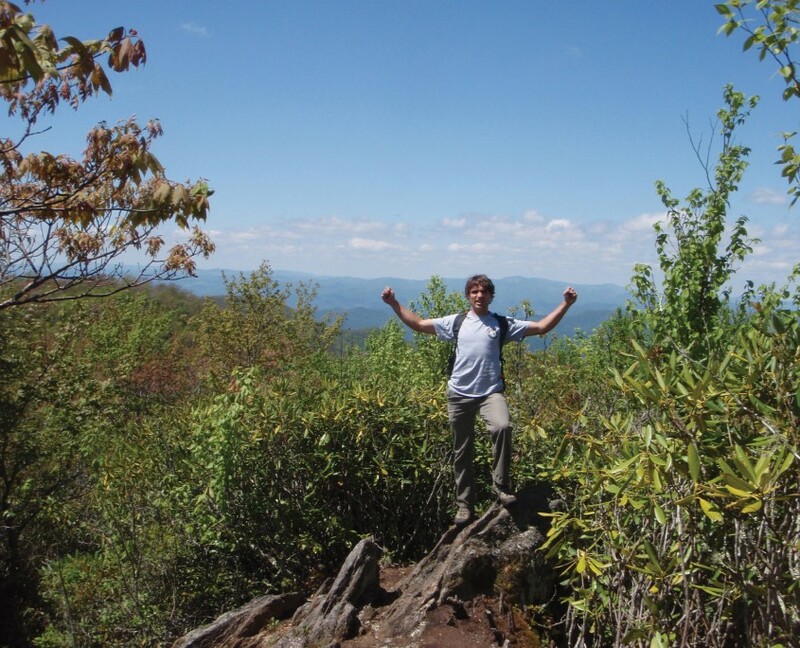 Snowball Mountain | Protecting the Blue Ridge Parkway in N.C. The property adjoins both Pisgah National Forest and the Woodfin Watershed. The publicly-accessible Snowball Mountain Trail runs along its eastern boundary, with access from the Blue Ridge Parkway and the Mountains-to-Sea Trail. The property contains the headwaters of Reems Creek, a stand of old growth forest, and native wildflowers. Directions: From Asheville, take NC 694N/Town Mountain Rd for about 6 miles. At the Blue Ridge Parkway junction, turn left to continue north on the Blue Ridge Parkway. The turn for the Craggy Gardens Picnic Area will be on the left. The trailhead is along the driveway to the Craggy Gardens picnic area. Look for the turnoff on the left and a US Forest Service road. Cars can park there; just avoid blocking the service road. *If there isn’t enough room to park at the trailhead, cars can park in the Craggy Gardens Picnic Area. The Mountains-to-Sea trailhead is on the north end of the parking lot, near the trailhead for the visitors’ center and bathroom. Follow the Mountains-to-Sea trail downhill. It will wrap around the ridge for about 0.5 miles and take you to the road. Cross the road to reach the US Forest Service road/parking area and the Snowball Mountain trailhead.